Brandenburg NA is expanding its reach across the U.S. by shipping insect light traps (ILTs), glue boards, and bulbs and servicing customers more efficiently thanks to the opening of its new 50,000-sq.-ft. office and warehouse facility in Earth City, Mo. 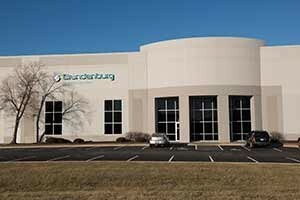 This is Brandenburg NA’s first major facility expansion in the U.S. since opening its initial office five years ago in St. Louis. Brandenburg NA is the North American arm of the Brandenburg group of companies, a United Kingdom-based manufacturer of flying and biting insect control systems and air sterilization products. “Our growth here in the United States has been phenomenal since we began offering our products in 2011,” said Brandenburg CEO Mathew Kaye. Brandenburg NA’s lineup for ILTs, glue boards and bulbs are designed for restaurants, office buildings, supermarkets, retailers, healthcare facilities, food processing plants, hotels, motels and many other industries. All of Brandenburg’s products are designed, engineered, tested and manufactured at the company’s headquarters in the United Kingdom.